Today's find comes from my buddy Weston. Guts is Paris DJ who got his start in 1990 with the creation of a band, the Alliance Ethnik. 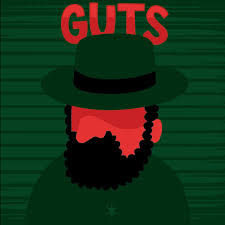 Guts music has always had hip hop and electronic sensiblities. He can skirt the line when it comes to the irreverent too. Dirty Otter is a straightforward throwback jam, synth heavy and nostalgiac.